IRENA has created a catalog of various reports in the field of renewable energy Quality Assurance. Use the search criteria on the left to filter through the search results. You can type keywords to filter the list of reports. Filtering is applied to the report title and the description. Please note that the following list of reports may contain links to external sources. 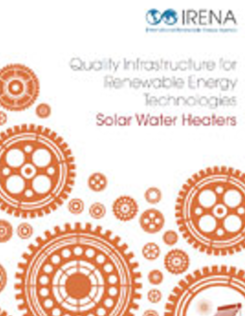 This guide is part of a series prepared by the International Renewable Energy Agency (IRENA) in the field of quality infrastructure (QI) for small-scale renew­able energy technologies. 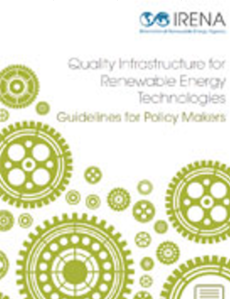 Quality Infrastructure for Renewable Energy Technologies: Guidelines for Policy Makers explains the essential concepts, along with the benefits of developing and implementing QI, and provides guidance on how to incrementally develop QI in support of national renew­able energy technology markets. This guide is part of a series prepared by the International Renewable Energy Agency (IRENA) in the field of quality infrastructure (QI) for small-scale renew­able energy technologies. 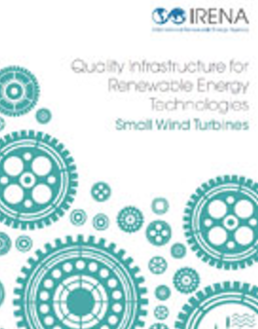 Quality Infrastructure for Renewable Energy Technologies: Small Wind Turbines analyses the challenges and offers recommendations for developing QI for small wind turbines (SWTs), as well as highlighting the experiences of several countries in developing and implementing QI for SWTs. The SWT guide concludes by applying guidelines for incrementally developing QI to the particular case of SWT markets.